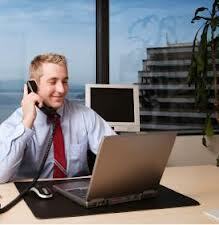 Currently I am using online invoicing software. Some months ago I used to use the software, which was installed on my computer. I preferred installed programs, because internet could just disappear and you wouldn’t be able to reach invoicing program. Many times I was advised to use online programs, but it took me some years to switch from offline to online. Only now I can impartially evaluate all the pros and cons of installed and online invoicing software. I have thought that installed software is much more reliable than online based. But I was wrong. Once my computer brake and I lost all data that was saved into invoicing software. Now I know that data of my online program is saved every day and if there will be some problems with my computer I can easily reach program from another computer. That is the most important advantage of the online invoicing software. It can be reached from everywhere. I have noticed that restaurant where I usually go for a lunch brake has free Wi-Fi, so I can use invoicing software even from there through my phone. 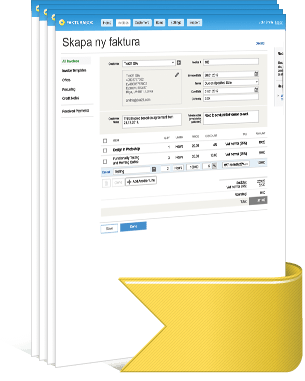 Now when I will go abroad for a vacation I can easily reach my invoicing program and even send out some invoices. Invoicing software let me save money because I don’t need to buy license for every user of the software. We have one login and password which is used by me, bookkeeper and manager. The only thing I need to reach the program is internet. I haven’t noticed any disadvantages of the online invoicing software. Maybe I should mention that it can’t be used without internet. However internet nowadays is advanced enough and internet connection is strong and reliable. No more disadvantages I have noticed while using program. I know how desperately people can be sure of something. Like I was sure that there can’t be something better and more reliable than installed invoicing software. But I advise everyone to try different things, different kind of programs, etc. Only this way it is possible to develop your business. If you stand still while everything is developing, you will become out-of-date soon.